In opening up his explanation on the hymn, Paul writes about the unredeemed state in which we find ourselves before putting our faith in Christ. Like all of us, the Colossian Christians were once at odds with God, alienated from him, and even enemies with him. Our minds are the battleground for our souls, and it is here that we wage war against the wisdom and understanding of God. Evil behavior stems from a mind at enmity with God. “People are not inwardly hostile vs. God because of their outward acts of sins; they commit sins because they are inwardly hostile.”[i] Sinful actions and behaviors are the evidence of an internal hostility toward God and a rejection of the “wisdom and understanding that the Spirit gives.” This rejection in the mind results in ignorance of God’s will, and thus we find ourselves not only spiritually adrift, but applauding and encouraging evil. Such is our condition apart from Christ. But in Christ, we are reconciled, made holy by Christ’s physical body in his death. Just as the hymn proclaims that Jesus has made peace between us and God through his blood, Paul here reaffirms that sentiment in proclaiming our reconciliation with God in Jesus. The scope of the hymn is universal, proclaiming peace for all things. 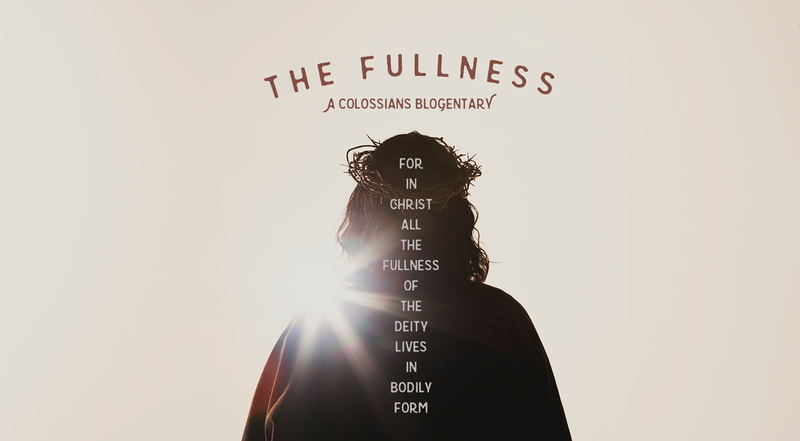 Here, Paul boils down that universality to the specificity of the Colossian Christians. You have been reconciled. The theology of the hymn is expansive, presenting themes found throughout the rest of the letter. It is fundamentally about the power and sovereignty of Jesus Christ. It presents him first as Creator, and secondly as Re-Creator. As N.T. Wright says, the hymn presents “the parallel between creation and new creation; hence the emphasis that is placed on the fact that each was accomplished by means of the same agent. The Lord through whom you are redeemed…is none other than the one through whom you (and all the world) were created.”[ii] The hymn is rich and dense with Christology, cosmic in scope, sweeping in nature. The word “all” appears seven times, and the phrase “all things” appears five times. The repetition of this vocabulary tells us that there is nothing that lies outside of the supremacy of Christ. Would that every song in our Sunday morning worship hour was bursting with such high theology! …bearing fruit in every good work, growing in the knowledge of God, 11 being strengthened with all power according to his glorious might so that you may have great endurance and patience, 12 and giving joyful thanks to the Father, who has qualified you to share in the inheritance of his holy people in the kingdom of light. 13 For he has rescued us from the dominion of darkness and brought us into the kingdom of the Son he loves, 14 in whom we have redemption, the forgiveness of sins. Giving joyful thanks to God the Father. The four qualities could be summed up by these words: Faithfulness, Wisdom, Perseverance, and Gratitude. Certainly these are not the only ways that we can please Jesus, but they are among the most important. We please the Lord when we do good works that bear kingdom fruit. This is not to be confused with the vain attempt to earn your salvation. Instead, good works honor the Good King. Jesus is pleased when we testify to the goodness of his kingdom by serving others in a sacrificial way. His kingdom goes forth in power as we lay down our lives for others, taking up our crosses and following him.